On the same morning as the big “Today” unveil, ABC’s “Good Morning America” quietly rolled out a small change. 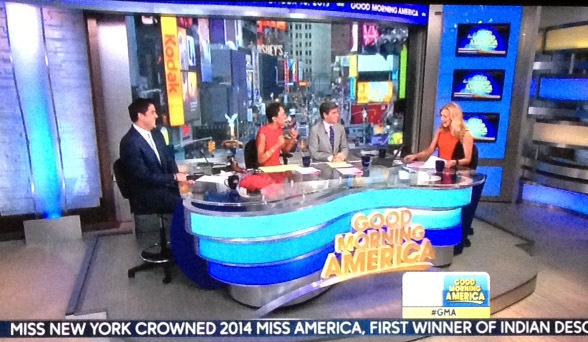 Along with new curvy desk,”GMA” unveiled a new weather center. The new monitor filled space is similar to its weather center from a few years back, with almost too many monitors. The new desk is similar to the previous, but has new coloring and less ribbons. 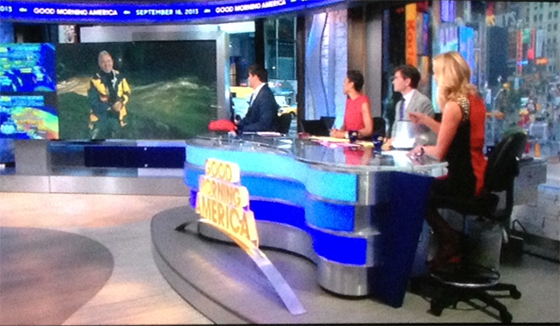 This morning, with Sam Champion on the road, the monitor was used to bring Champion into the studio. “GMA” takes the prize for the biggest monitor against the new “Today” weather center.